ART - ILLUSTRATION - PHOTOGRAPHY - DRAG Hosted by Dekaylee / Salem Massacre, and Rachel Britton Photo / Jack Dup! 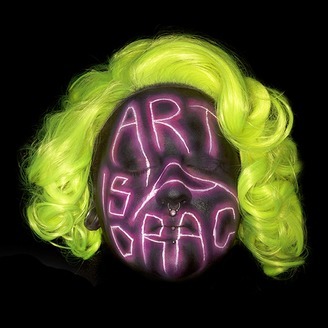 We discuss art, illustration, photography, and drag and how these all intersect! With special guest artists and drag queens, laughing, and listener questions, our podcast is sure to keep you on your toes. The ghouls discuss the physical toll of drag, body positivity, "Shrill," and exercising in this episode! We are seeking sponsors for the podcast, and would like to focus on small businesses, drag supplies, art supplies, artists, etc. We have some AMAZING episodes coming up! Please leave us a 5 star review on iTunes to help those episodes reach more people, and follow us on instagram HERE! 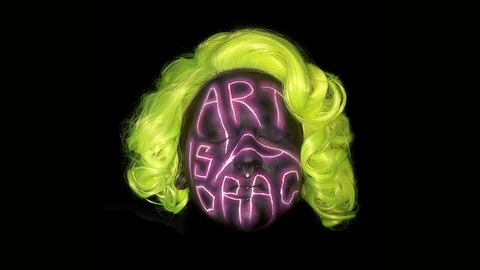 You can also pick up a physical copy of the Art is a Drag zine in person at Vault of Midnight in Grand Rapids, MI! If you would like one shipped, please purchase one on Dekaylee's Etsy!